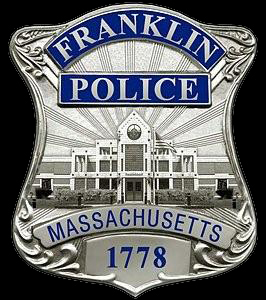 I would like to take this opportunity to personally thank our community for all the support shown to the Franklin Police Department and the many agencies that worked with us over the last week and a half, as we searched for Michael Doherty. The loss of a young life is always tragic; I am humbled to be the Chief of Police in a community that rallied around not only the Doherty family, but the police officers and fire fighters who serve them. I witnessed the best in what it means to be part of a community in the last week and a half. The response from individuals, businesses, and organizations within Franklin and the surrounding towns is beyond adequate description. As a search and rescue manager for almost twenty years, I have served other communities during a prolonged search operation, in all that time I have never seen the outpouring of support in food, water, and selflessness the way that I did here in Franklin. The officers and searchers who came to assist Franklin last week commented that as they worked though neighborhoods there were signs of support, coolers of water, and offers to use restrooms in private residences. This truly exemplifies the fabric of our community and one that I am immensely proud to serve. On behalf of all the men and women of the Franklin Police Department, as well as the almost one hundred other agencies that came to our aid, I say thank you. The Town of Franklin is blessed to have such caring and generous residents and businesses, and I am proud to lead an organization that understands the value of being part of this community. "the budget largely maintains current services"